The last time we saw Parker in The Hunter, he was out to kill a man named Mal Resnick, who had betrayed him and left him for dead. Mal did this in order to pay a debt he owed to an organization known as The Outfit—after paying back what he owed, the organization was only too glad to welcome him back into their ranks, and before you knew it, Mal was part of their management in New York. When Parker went after Mal, he went after The Outfit as well. They didn’t like that. 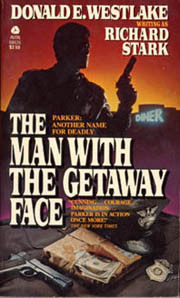 So as this next book, The Man With the Getaway Face, opens, Parker has just gotten himself a new face. This is thanks to the skill of one Dr. Adler, a man who has been publicly disgraced due to his support of the Communist Party as a young man… but he has not been delisted. Still, America is paranoid about those pinko commies, and so the only way Adler can really get profitable work is to give his services to less-than-reputable clients like Parker. After getting his new face, it’s just a matter of time before Parker gets a new job—and one comes along on a platter. It’s an armoured-car job, and Parker decides he might as well participate. But things start going wrong—the plan for the job is highly flawed, and the fellow responsible for the planning is under the thumb of a shrewish diner waitress who needs to be in on the plan for it to work. She seems to have plans of her own and Parker suspects a double-cross may be in the works. But just like that, another interruption occurs. A man named Stubbs, one of Dr. Adler’s employees, comes to find Parker. Someone has just recently killed the doctor, and Stubbs wants to find the culprit and make him pay. Parker gives Stubbs a satisfactory alibi, but Stubbs wants to go after the other two main suspects. Parker doesn’t want that to happen, because Stubbs is a mentally challenged person and was no challenge at all to outwit and out-power— so if Stubbs goes after suspect #2, odds are he will be killed. And if Stubbs does not return within a month, he has left information with some people who will blow the whistle on all three suspects… including the innocent Parker! But… I digress. This is a wonderful and highly suspenseful read, but there’s one very serious problem that takes it a step down from the masterpiece that is The Hunter. Stark teases the reader that this could become a mystery—not necessarily a complex mystery, mind you, but at least a decent, fairly-clued mystery subplot. Only it isn’t. We find out from a third-person narrator that Suspect X is guilty, and then we see attempts by Stubbs and Parker to locate X. This is an unnecessarily violent pull of the leg, and the mystery lover within me rebelled when this trick was pulled. A little tweaking was all that was needed—and then you could have had a “real” mystery embedded in the story. See, I don’t require a mystery from the Parker series. 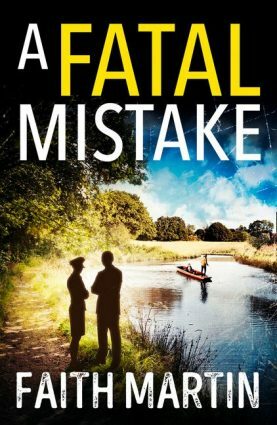 These are damn fine thrillers that take place in a grim world with a sardonic sense of humour. I can live with that—in fact, I have embraced that aspect of The Hunter. But it still bothers me when I see so much potential for including a mystery and then I see that potential wasted. That’s the main reason I consider this a step down from The Hunter which was an unequivocal masterpiece. But that being said, The Man with the Getaway Face is still a damn good thriller. Parker is a complex and fascinating figure—not a self-righteous sadist, but a coldly impersonal figure who nonetheless manages to be a fascinating character. The story is a fairly complex one and I really looked forward to finding out the new developments as I turned each page. It’s recommended overall—just don’t get your hopes up about the potential mystery subplot. I can hardly keep up with you this month! Every time I check back, there are one or two new posts waiting for me to be read. Anyway, if you hadn't convince me before that I should to take a look at Donald Westlake you have done that now. 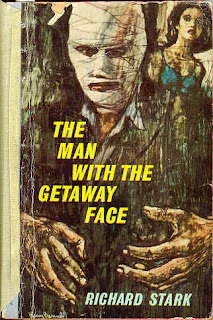 The only thing I have read with his name on the cover was a mystery anthology he edited. 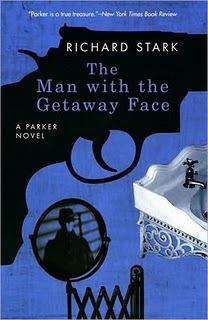 Gret review Patrick and fascinating to get your take on the Parker series. I read these all in sequence about 20 years ago just before Westlake started writing new episodes in the series and you have me itching to do it all over again (you fiend). It's interesting that you point to the use of the shift in perspective as I remember liking that a lot too. For the sake of 'history' (sic) it may be worth pointing to Lionel White's 1955 novel CLEAN BREAK as an earlier example of a story in which the POV shifts in addition, more unuaually, to breaks in the timeline. This was maintained in THE KILLING, Stanley Kubrick's film adaptation, co-written by Jim Thompson, which is clearly a big inspiration for Tarantino (he used it again in my favourite of his films JACKIE BROWN, adapted from Elmore Leonard's RUM PUNCH). As for my fiendishness-- I refer you to the highly-scientific graph on my last Westlake review, where I charted my enthusiasm for his work vs. the number of books read. You really can't blame me-- I'm helpless! I keep mentioning how I have to slow down with the reading of Westlake's stuff, then a few weeks later forget I ever said such a silly thing! I agree with you -- and you're right, it's hard to discuss Stubbs' story without spoilers! But it is a very sad one indeed. What Parker does to him is just revolting, even though you know he has good reason to do it. But it's his coldly impersonal way of looking at the situation that made that action possible, and really, it's rather chilling when he actually does it! It doesn't even enter his head whether he *should* do it or not! Nice review, Patrick. I wrote a bit about what I call The Stark Cutaway back in 2010, which you might find interesting. Sorry if ti got garbled - CLEAN BREAK has to the to and fro in the timeline as well. Nice reviews. I always love stumbling over a great blog, especially when it has a mention of Parker. An interesting piece, that. It seems like the Parker trademark. But it pops up in the Dortmunder adventures in a way as well. In BANK SHOT, we first see a rather large scene where the police camp themselves in front of the trailer they're hunting for without ever realizing it. First we see the whole scene from their perspective, then from the perspective of the criminals inside. Thanks for commenting! It's always very pleasant and rewarding to learn that someone likes what you've written. I just try to channel my enthusiasm for these books into reviews and articles.